What a hideous cover or is it just me? 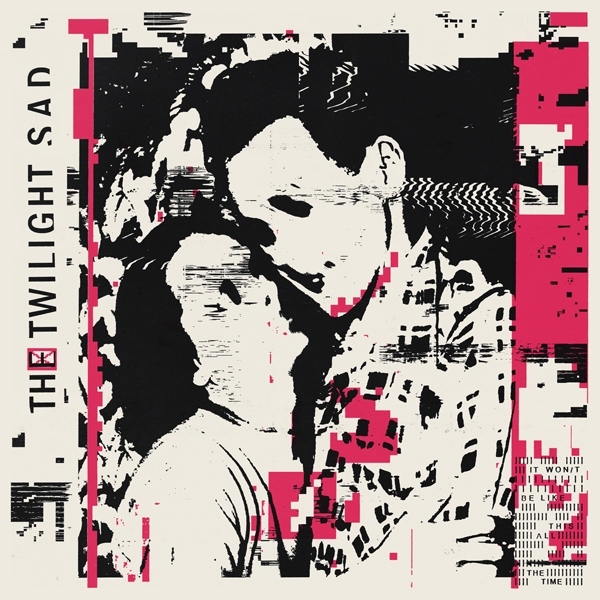 The music far from corresponds with hollowed out humans or it has to be in the fact that the music of The Twilight Sad sounds kind of despondent and far from happy. It Won/t Be Like This All The Time is the band's first album since 2014. To my surprise I found four albums of the band in my digital collection and I'm sorry to say they made so little impression on me that I had forgotten all about them. So how does the new album fare? A lot better, to fall into the house door and all. Yes, the atmosphere is not a happy one. Yes, the 80s are extremely close in this music. Yes, It Won/t Be Like This All The Time has an urgency to it that makes it inescapable in a way. 'I'm Not Here Missing Face' is sort of all over me. 'Auge Maschine' could even be called a party track if The Twilight Sad was into a thing called parties. Despite the 80s synths, the aim is towards Editors heights. The song begs playing in large venues. Yes, the Scottish accent in the singing is a little harder to listen to. Geordie Paul Smith of Maxïmo Park comes to mind in the way singer James Graham delivers his words and phrases. The further I move into the album the bolder and larger the songs (seem to) become. The amount of subtlety several songs in the first half of the album possess slowly leaves the music. On the positive side there no longer is a reason not to move. The tempo is up and limbs loosen up all by themselves. On the negative side a whole album of this music makes the listening experience a long haul. The heavy handedness of The Twilight Sad makes it a long sit all in all. Hence the subtle begin of final song 'Videograms' comes as a surprise. The sound is outdated, the urgency intact. 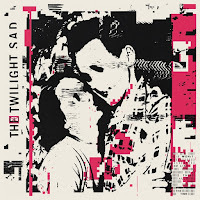 Like many bands in the late 10s The Twilight Sad is at a crossroad. Musically retro is more in vogue that perhaps ever, which as such is okay,except that many artists have no idea on how to evolve into that extra, innovative direction. The steps made by bands like Franz Ferdinand, Arctic Monkeys, Kaizers Orchestra in the 00s seem to have mostly lost their momentum. Innovation is not going to come from The Twilight Sad it seems. In fact, the band is looking back more than ever it seems and seriously trying to hook up with Editors fans, another band that has stopped evolving, despite producing fine albums. Having drawn this conclusion, It Won/t Be Like This All The Time -the title does hold a promise, does it not?- has its moments, some even fine moments. It certainly makes a statement and holds a promise but things have to become a step better, contain its own take on music, to come to that place where audiences fill the venues where a stadium song truly becomes a Stadium Song.